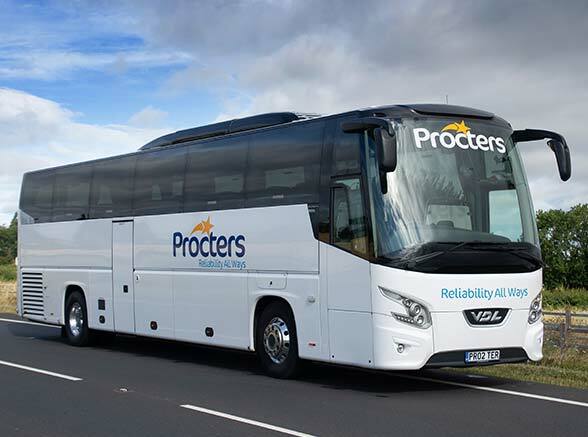 Finding a safe and reliable coach company for your private hire bookings isn’t often as easy as it may seem! Private hire coach companies need to be consistently good with excellent service and outstanding safety standards. 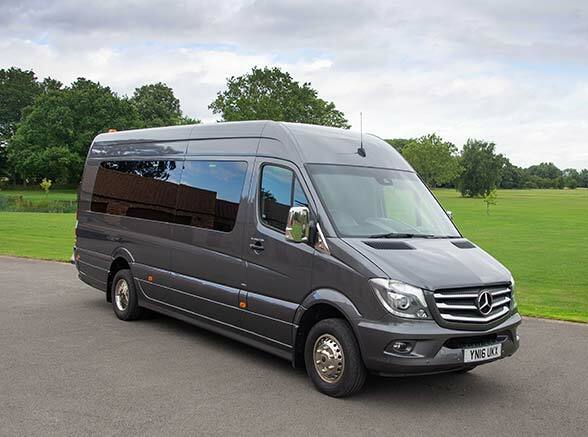 Rest assured when looking for a private hire coach company, you need to look no further. 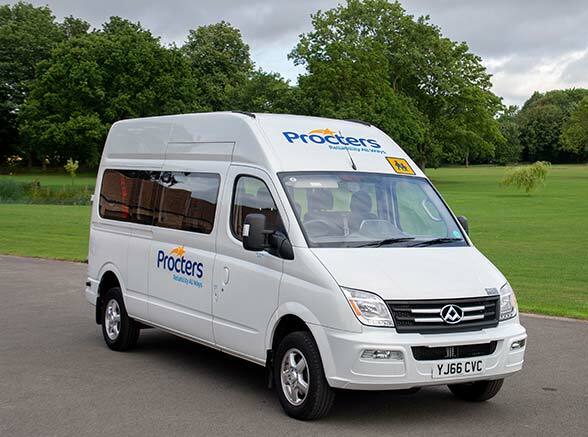 You will get exemplary service when booking with Procters alongside a modern vehicle that will suit your needs perfectly. All our Private hire bookings are expertly handled from start to finish with no detail left uncovered, ensuring customers come back to us time and time again. Our experience and knowledge of private hire bookings makes us stand out from other coach operators. 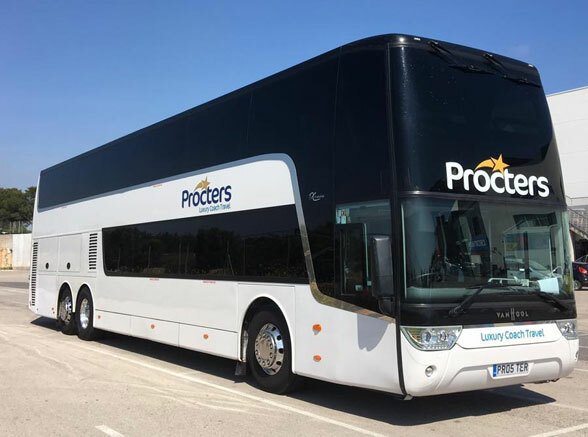 Our vast fleet of vehicles has something to suit all private hire bookings and we know the perfect coach for your needs is ready and waiting to be booked. We will find the ideal transport for your private hire occasion. 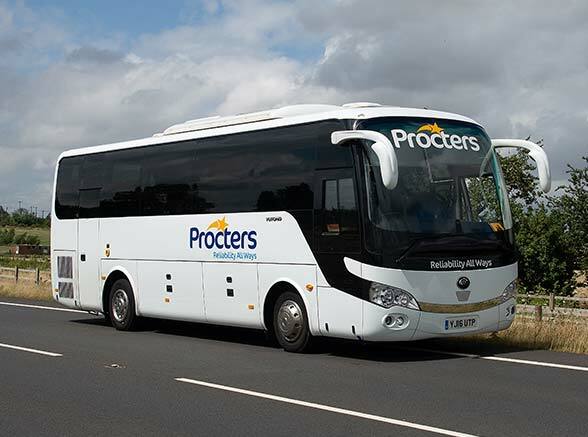 So whatever your private coach hire needs are we can always help! To find out more call us now or complete the form above. 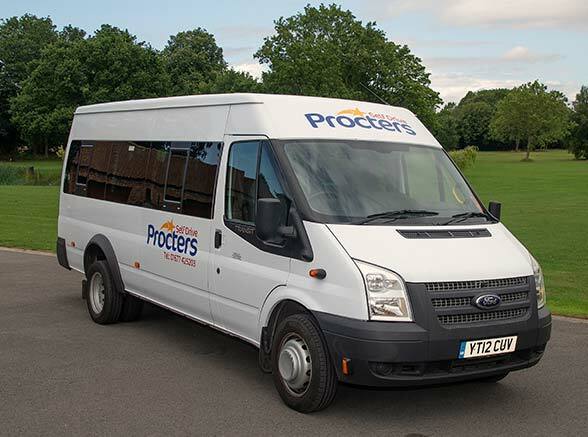 We have a large range of vehicles from 16 to 85 seats with facilities to accommodate your needs. We work very hard to ensure our fleet is constantly being refreshed and updated to ensures you get the best coach possible every time. 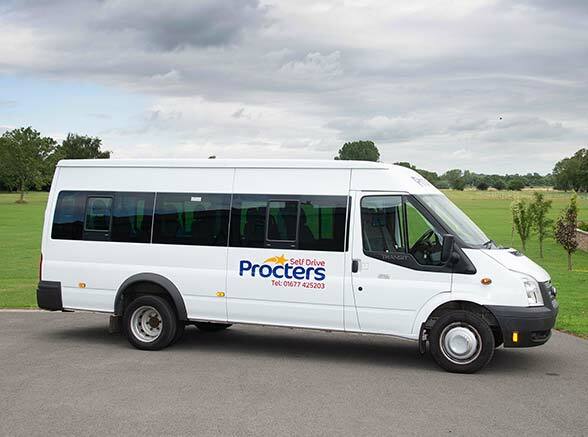 If you’re interested in any of our Coach, Bus or Mini-Bus hire services, then please contact us for a no obligation free quote. I used this company with my school when on a World War 1 Study Trip, passing through France, Belgium and Netherlands. We had a bus driver named Allen, and he was the most kindest man I’d ever met. Me and my best friend sat right behind the driver, and he was very sociable and would give us advice on what to do and tell jokes. We were coach bound for about 55% of the trip, and he brightened up the entire journey! 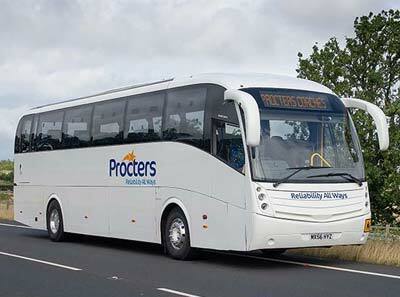 Excellent, comfortable coach, excellent knowledgeable driver (TONY). What he didn’t know about Scotland wasn’t worth knowing. Would definitely travel with this company again.